The Commercial Harbor is located along Riverview Drive east of Prairie Island Road and contains docks, fleeting areas for barges, grain terminals and the Port Authority Commercial Dock. 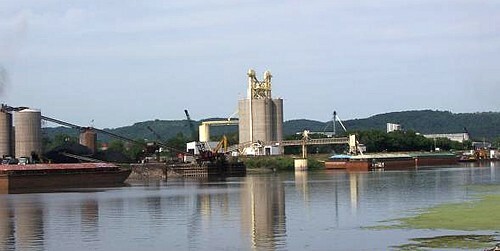 The municipal dock was originally established by the city in 1956 and is now operated by the Port Authority of Winona. It is used for loading and unloading barges in the transport of commodities such as fertilizer, salt and coal. The Port Authority currently leases the facility.